ONYX Hospitality Group first launched Arts for The Planet in April 2010 in conjunction with Earth Day's 40th anniversary. It is the company's Earth Day campaign aiming to raise awareness and engage Thailand's younger generations on environmental issues through art as part of the company's CSR initiatives. The partnership with DG Arts & Crafts this year, this annual event involved live painting competitions has expanded from Bangkok to cover other central, eastern and southern provinces. Winners are awarded with a scholarship from ONYX Hospitality Group Foundation and gifts from the event co-sponsor. In previous years, the competitions focused on students of elementary, junior high and high school levels. 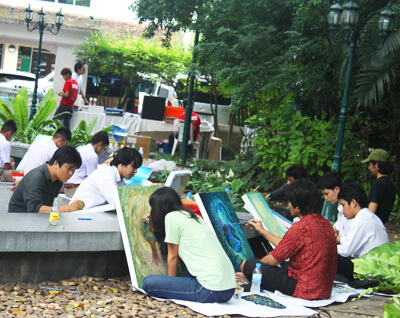 This year's Arts for The Planet has engaged Thailand's college and university art students from the 3 regions. 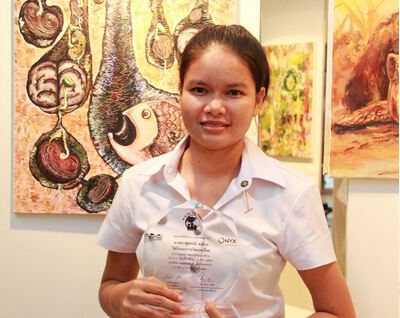 The 60 paintings at the Arts for The Planet Exhibition are the finalists from the 4-hour live painting competitions held in Nakhon Si Thammarat, Chonburi and Bangkok in July and August, and will be exhibited here at the Bangkok Art & Culture Centre between 3 to 15 September. The exhibition is open for public. The award presentation and opening of the exhibition was held at BACC on 3 September. 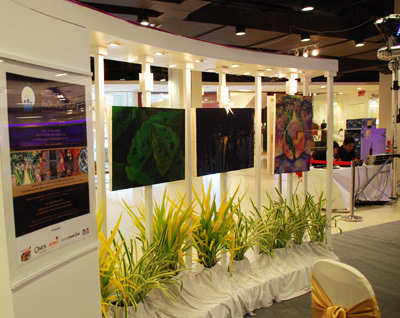 Arts for The Planet Exhibition will also be held at Amari Orchid Pattaya and Central Festival Pattaya Beach during 20-30 September, followed by an exhibition at Amari Hua Hin in October. The beautiful paintings are also available for sale to raise fund to support community programmes managed by ONYX Hospitality Group Foundation namely, “Baht for a Better Life” which supports education of underprivileged children, and “Plan BEE” a programme to help alleviate poverty and protect our biodiversity by providing rural community with practical training and tools to earn a supplementary income while sustaining healthy Asian honeybee populations through beekeeping.